The US Army 1st Cavalry T-shirt is a single sided print in Heather charcoal. 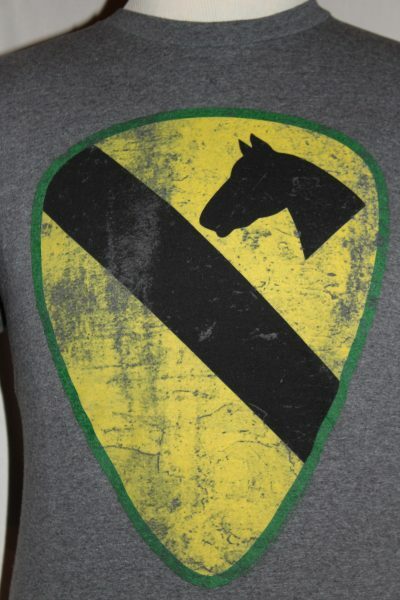 Front Design Only: First Cavalry Insignia screened in three colors. 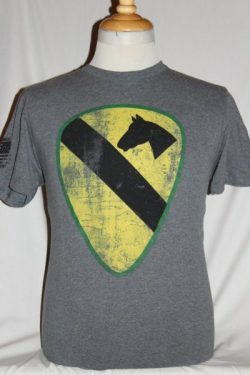 Reversed American Flag on right sleeve.